My toddler is able to use the toilet when he remembers to do so but he does not want to stop what he is doing when he is busy with something and he obviously needs to go. This often results in an accident. What can I do to resolve this issue? Consider what amazingly complex skills are involved in toileting. First, he has to be aware of the pressure sensations of his bowel and bladder. Then he has to respond to elimination urges by running to the bathroom. He also has to interrupt his drives and impulses towards movement and activity. 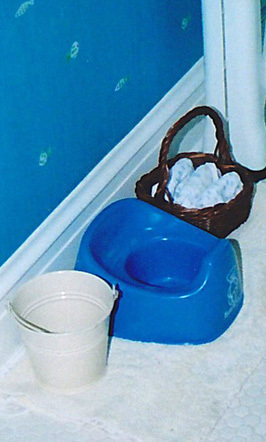 Do you have more than one bathroom and do you have a child toilet seat in each bathroom? Have you established routine times when he visits the bathroom, such as after meals, after waking, after a snack? The key to success is establishing routine times for bathroom visits that become an almost automatic part of the day.